Frostpress.com is undergoing some changes. 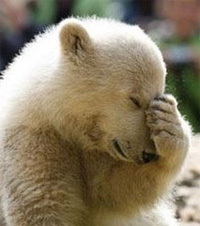 After switching webhosts the WordPress import had changed all the blog posts to news. This has been updated & changed so all previous articles should be functioning properly everywhere. 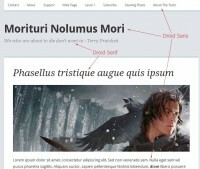 Also, several articles on both free wordpress themes and premium wordpress themes have been added. 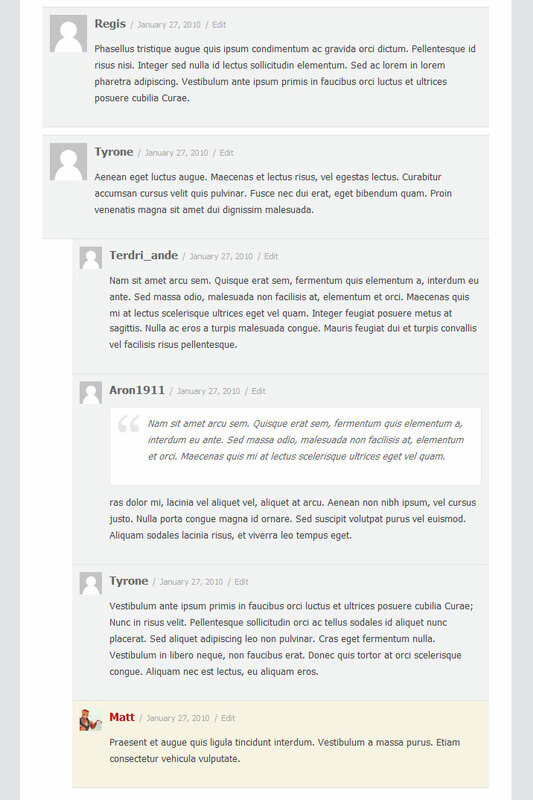 More reviews on selecting the best wordpress theme for your site will be added soon. Stay tuned. This is a teaser of the theme I’m currently working on. It will be called “Tribe” and like I mentioned a few posts ago it will be very similar to this site that I designed. The purpose of the theme is to be as simplistic and lightweight as possible, while still adding colorful touches (it will have as many color-themes as Comet). The theme will use an image in the header (like in the screenshot) that you can upload and crop yourself using the new smart function in WordPress. If you have been using the TwentyTen theme you know how it works. This is obviously a work in progress so the end result might look nothing like this. 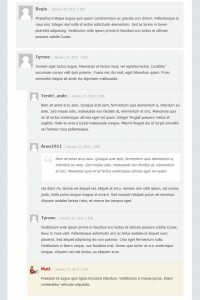 Although I had some qualms about the new theme review process before, now I think it’s just awesome. Once a theme gets approved all future updates to that theme gets higher priority. I like this. The long-awaited update for Comet is finally available. Visit http://wordpress.org/extend/themes/comet to download Comet 1.4, with plenty of new features. Update: please be aware the the theme options page has been completely redone, so it will wipe all the previous options when updating. This will usually not be much of a problem since it only takes a moment to set all the previous options, but if you have a lot of CSS code written in the “custom CSS” field or the “text to appear in the footer” field you might want to copy it and paste it once the update is done. 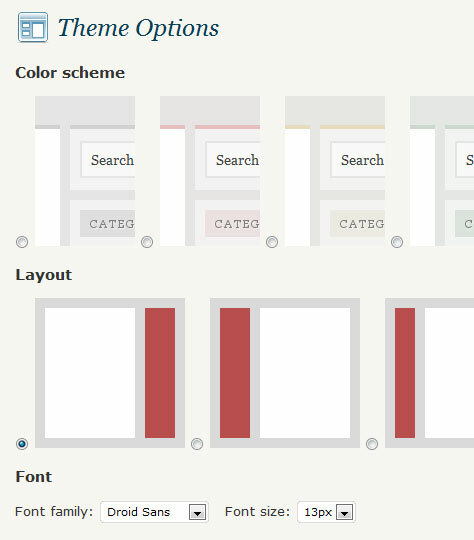 Updated menu system for WordPress 3.0. Comet has two custom menus while Renegade only has one due to graphics looking odd with more. New theme options page. Better interface due to use of graphics. Some options has been cut due to new menu system. Update recommendation: due to the new theme options almost all files has been updated, so overwriting all files and then applying your old changes is recommended. basic.css and reset.css has been consolidated into the main style.css file. I have moved a lot of theme options out of the functions.php file and into the core files (header.php, index.php, etc) so you will likely never have to go into function.php if you want to make some changes to the options any longer. Everything should also be properly commented so you understand what everything does. More theme options. Like font size, extra sidebars. Got suggestions? Redo the theme options page with a more organized and visual interface. I’m also considering to discontinue some of my themes (Artemis, Exile, Serenity, and Renegade II). Their style is not something I would create today, and I think the work of redesigning them (both visually and code-wise) is not worth the effort. I want to keep all my themes up to the same standard, but the time does not permit with all the themes.